Kale is one of those things that I sometimes shy away from… maybe because it looks like something a dinosaur would eat? Or because I’m too busy eating beige colored foods… oops. So this is unfortunately the first time I personally have made anything with kale. I used a recipe from Food & Wine, also a tried and true favorite of the lovely and talented Dana Casey (the recipe is also posted on her appropriately named blog, Tried ‘n True). In a bowl, cover the pecans with water. 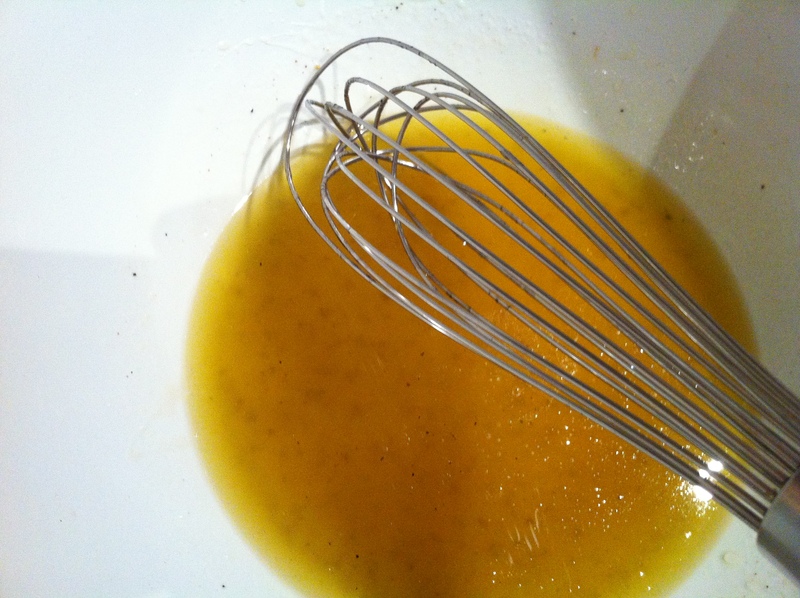 In a separate bowl, combine the confectioners’ sugar, cayenne pepper and salt thoroughly with a whisk. Drain the pecans, and add to the sugar mixture. Toss well, then place on a sheet pan covered in parchment. Bake for 10-12 minutes or until caramelized, allow to cool. Put the olive oil and pancetta in a skillet and cook for about 6 minutes or until browned. 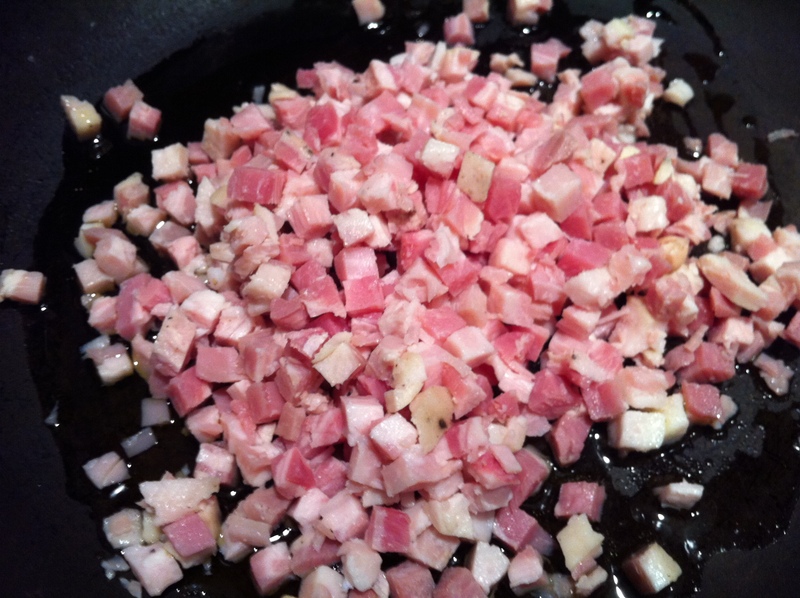 Drain the pancetta, reserving the pan juices in a large bowl. Add the vinegar, brine and maple syrup to the pancetta juices. Whisk well and season with salt and pepper. Add the apples, radicchio, kale, chives and tarragon to the dressing. Toss well and serve garnished with pancetta and pecorino. This is probably in my top 5 favorite salads – a truly legendary combination of flavors. I’ll definitely be making this again! 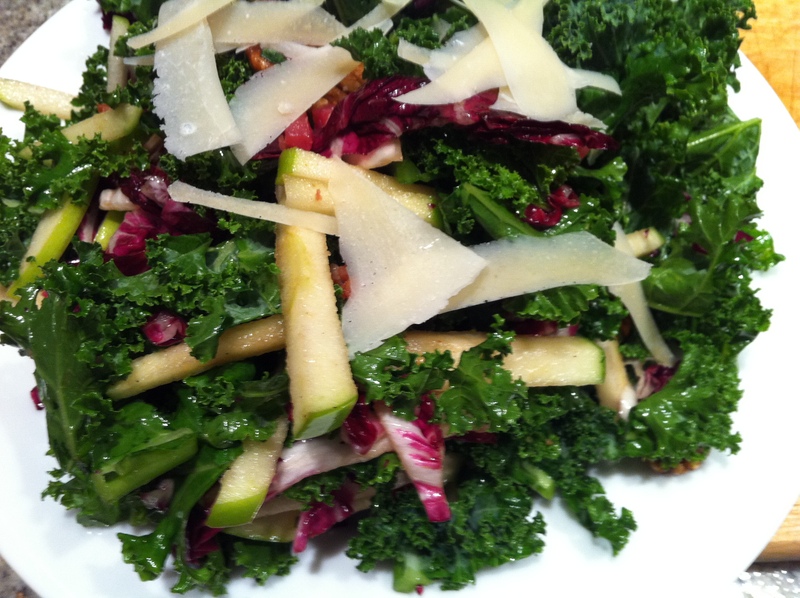 This entry was posted in Kale, Pork and tagged apple, candied pecans, dinner, healthy, kale, pancetta, pecorino, radicchio, salad, side, tarragon. Bookmark the permalink.